Nurses are the patient protectors, the promoters of quality care and well-being. 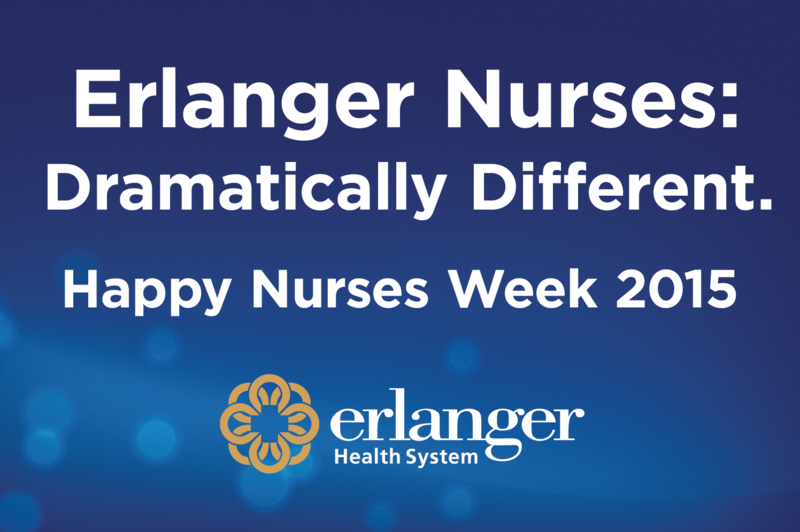 In celebration of their contributions to our patients’ lives, Erlanger Health System is proud to honor these heroes of health during National Nurses Week. National Nurses Week is celebrated May 6–12 each year —with the final day falling on the birthday of the founder of modern nursing, Florence Nightingale. 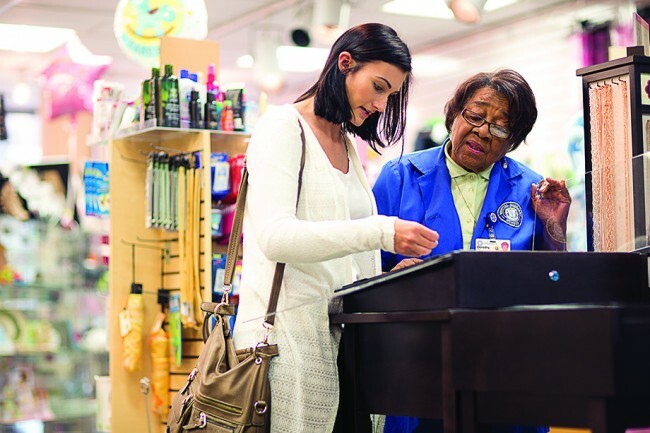 It was established by The American Nurses Association (ANA) as a full week of recognition for the contributions that nurses make to the community. 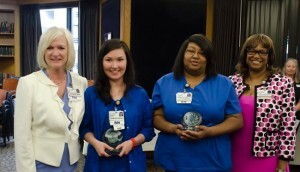 During breakfast events that took place May 10 through 13, Erlanger Chief Nursing Officer Jan Keys recognized six recipients of the 2016 Nurse Excellence Award. 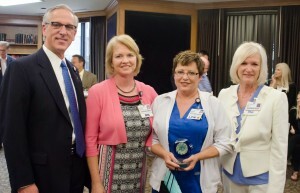 The Nurse Excellence Award is an annual program that honors the “ultimate nurse.” Award recipients are nominated and then selected based on their demonstration of the highest levels of caring, compassion, competency, commitment and service excellence. Heather Magee is a registered nurse(RN) with a Bachelor of Science degree in Nursing (BSN) at Children’s Hospital at Erlanger. Working in the emergency department, Heather is constantly finding creative ways to improve her patients’ experiences. Her innovation and good-natured spirit carry over into her interactions with coworkers, as well. Serving as a source of encouragement for even the newest employees, Heather is always eager to help others. 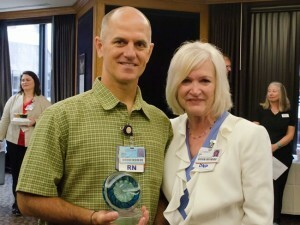 John Pound is an RN at Children’s Hospital at Erlanger’s Emergency Department. Honesty, sincerity, and kindness are the cornerstone of John’s life and career. 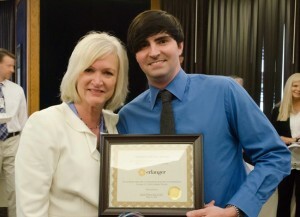 Driven to help others, he returned to school to pursue his passion for nursing. Additionally, he asked to take the medical translation class to ensure an optimal patient experience for English and Spanish speaking patients. 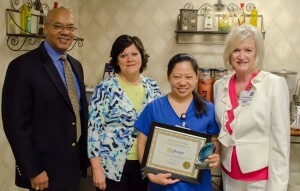 Leny Singgo is an RN, BSN at Erlanger’s North Hospital. Striving to remain on the cusp of the latest medical research, Leny consistently seeks opportunities for learning and personal growth. The “informal leader” of the medical/surgical nursing team, Leny is always happy to share her wealth of knowledge with others. In addition to her regular responsibilities, she also serves on her unit’s Practice Council focusing on hand hygiene compliance. 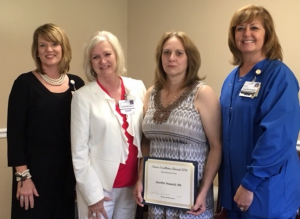 Jennifer Howard is an RN at the Sequatchie Valley division of Erlanger Bledsoe Hospital. Jennifer’s abundance of compassion drives her to improve patient experiences through regular acts of kindness. She has been known to send get-well cards and texts to patients and coworkers alike, comfort dying patients who would have otherwise been alone, and nestle abandoned babies to ensure they feel loved. Jennifer’s determination to excel is currently steering her toward her BSN, which she hopes to achieve in the near future. Jared Weber is an RN, Trauma Red Shirt at Erlanger’s Baroness Hospital. “Red shirts” are specially trained, advanced-practice critical care nurse clinicians — a group committed to providing a higher standard of care. Jared recently exemplified this dedication by staying at the bedside of a pediatric trauma patient through massive transfusion efforts and multiple operations.The entire time, Jared stayed at the patient’s side, assisting and guiding his patient’s care through the end. He wasn’t required to stay, but he gladly chose to. 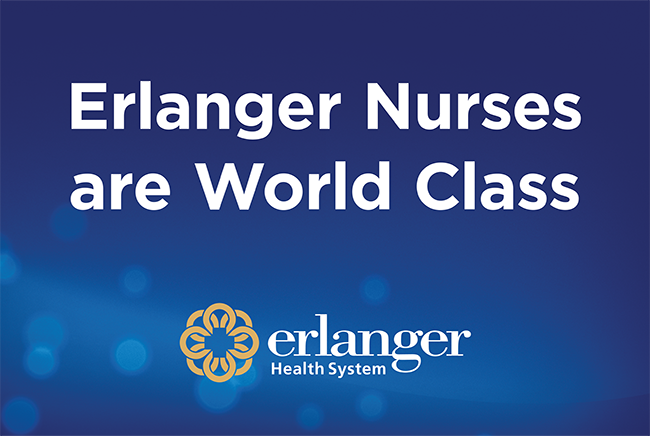 Learn more about joining a nursing team like no other at Erlanger Health System.